Motorola is a long-standing brand with a great reputation and a large variety of two-way radios to choose from. All of Motorola’s radios offer superior quality but depending on what you need the right two-way radio for you will vary. Motorola offers the world’s largest third party application developer program in the industry. As a result, they offer unmatched capacity, state of the art voice quality, and integrated data communication. 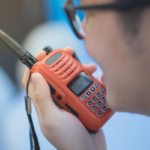 MOTOTRBO, Motorola’s communication system, is built to globally recognized ETSI DMR Tier 2 standard and can be used on both UHF and VHF frequencies. 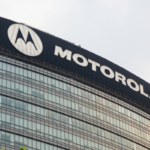 Motorola is the go-to brand for so many different industries including large government organizations as well as small family-run tow truck companies. Highland Wireless offers the latest Motorola two-way radios on the market, including basic and high-tech models. Here is a Motorola two-way radio comparison to help you find the best radio for your business or personal needs. How far do you need radio range to extend? Where will you be using radios? Location and terrain greatly impact overall radio range. Do you need GPS, Bluetooth, or other upgraded features? Is a screen important, or are screen-less models just fine? Do your radios need to be water and dust resistant? If you’re looking for a high-tech two-way radio system the latest Motorola XPR-5550 offers a world of new features and is one of the very best commercial radios in the industry. The full backlit display changes for night and day mode so that the screen is always clear at any time and from any angle. This sort of attention to detail decreases distractions and improves workflow efficiency. The XPR-5550 also has Bluetooth for hands-free communication, a hugely valuable tool in many industries. This increases employee safety as well as the ability to communicate, even when dealing with overwhelming situations. 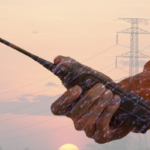 Data applications are limitless, offering so many things never before possible via two-way radio. GPS tracking and work ticket management adds more icing on the cake. If a small and sleek Motorola two-way radio is more on speed with what you need the Motorola SL-7550 UHF MOTOTRBO radio may be right on par with your demands. This radio is specially designed for the hospitality industry as well as security and airport industries. This stylish radio offers a professional form of communication via a lightweight, good looking hand-held radio. This radio is the size of a modern day smartphone but comes packed with all of the power associated with a full-sized radio. Plus, it comes fully loaded with Bluetooth and GPS. 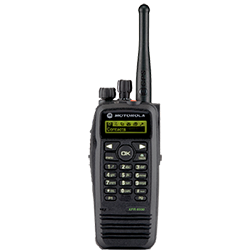 Motorola’s XPR-7550 offers everything and more, including a full color LCD display screen and the latest digital radio systems. It is considered a perfect combination of data application and fully optimized digital radio. The beautiful screen makes this two-way radio feel like a smartphone, plus the GPS and Bluetooth capabilities seal the deal. Despite all of the fancy bells and whistles this radio is incredibly durable and can stand up to the challenges presented at many different work environments. The IMPRES battery technology offers unmatched optimization for nonstop reliability. Many businesses don’t require Bluetooth, GPS or shiny LCD screens; instead they just need a reliable way to communicate back and forth. 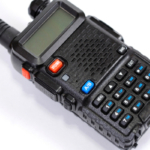 If this describes your needs the Motorola CP-200 is a reliable option, in fact it is considered one of the most well recognized radios in the industry. This two-way radio has staying power for good reason, such as its flexible communication features like push-to-talk ID and selective call. The hardware is built durable enough to withstand any environment. This radio has been around for a long time and was recently reintroduced as a digital model. The Motorola XPR-6550 is easily the most flexible option offered thanks to its compact design and large variety of features. Bluetooth, IMPRES battery technology, GPS, and submersible design make this two-way radio durable, dependable and extremely useful no matter what you need. If your team needs constant connection over long periods of time this is the go-to model. Need Even More From Your Two-Way Radio System? Highland Wireless offers the latest Motorola two-way radios in the industry, but that’s not all. We also offer Wide Area network options, which increase your radio range by as much as 300+ miles. You can talk between different Florida counties as if you are right next-door. No matter what two-way radio is right for your business we offer the most affordable service and plans. Contact Highland Wireless today to learn more!